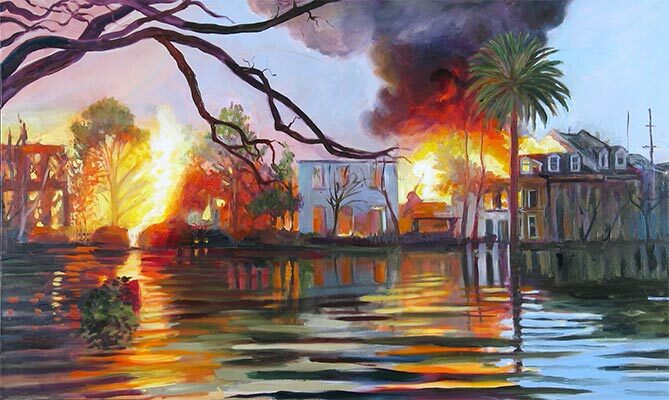 Fire In The Floodwaters. Oil on canvas. 36 x 60 in.